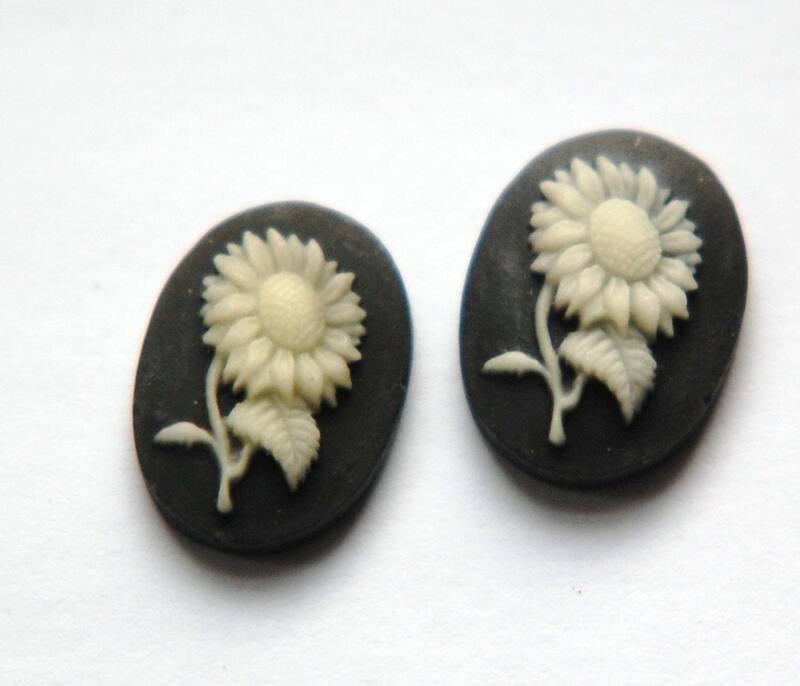 These are vintage acrylic cabochons that were made in Japan. They have a black base with a cream or ivory colored flower. A sunflower or a daisy perhaps. These measure 18x13mm. You will receive 2 pieces. perfect quality & super fast shipping!